We are now over half-way through this year’s legislative session in Olympia. Deadlines have come and gone, including the last day for bills to pass out of their house of origin policy committee and the last day for non-tax bills to pass out of their house of origin fiscal committee. The number of active bills is narrowing quickly. The next deadline is February 14 at 5 pm, when bills must have passed out of their house of origin in order to remain alive. HB 1622 to increase funding for the State Building Code Council passed the House on a 73-24 bipartisan vote and will move to the Senate. AIAWA is a long-time supporter of this bill. AIAWA supports legislation, HB 2931, that would add additional tiers to the state residential energy code of 10% above code and 20% above code. Local governments would be permitted to voluntarily choose a tier that best works for their energy reduction and climate change goals. While local governments are already able to set targets above commercial energy code, state law currently prohibits them from doing the same with the residential code. This bill is currently in the House Rules Committee, where it is waiting to be assigned to the House floor – or left to die. 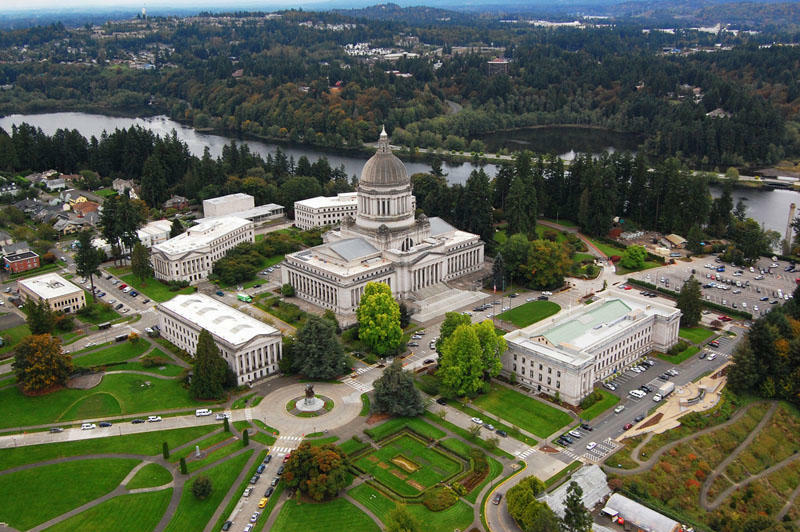 AIAWA is monitoring HB 1325 on the scoring and prioritization of capital budget projects at Washington’s community colleges and universities by developing “reasonableness of cost” standards for higher education projects. AIAWA testified on this bill and we continue to have concerns about its attempt to establish strict cost estimates given the wide range of variance in project circumstances related to location, site development and programmatic requirements. In addition, we find the requirements to extrapolate cost data over time by adding escalation rates to the baseline to be problematic. While expressing our concerns, AIAWA has remained neutral on the bill. The Legislature is beginning to look at ways to address the lack of condo development in Washington as a result of the Washington Condominium Act’s construction defect liability provisions which leave builders and designers vulnerable to lawsuits. With a heightened awareness of the impact of this law to the availability of a range of affordable home ownership options, legislators are beginning to introduce bills that attempt to address parts of the problem. Three bills have been introduced to modify the construction defects statute. AIAWA opposes HB 2475 and SB 6523, which marginally increase liability for architects and others. 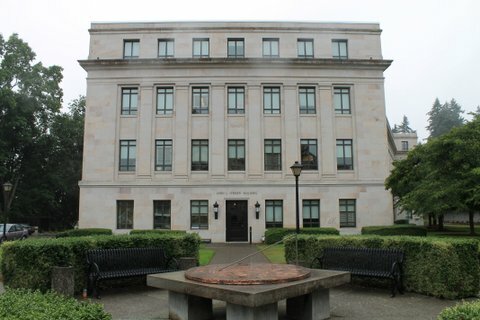 HB 2831, which AIAWA supports, requires condo owners and HOAs to hold a meeting of the membership (although a quorum is not required) to determine whether a lawsuit should be brought against a construction professional (architects are included in the definition of construction professional in the construction defects statute). It also requires the HOA to invite the construction professional to attend the meeting and be able to speak; includes strict notice requirements to the homeowners advising them of the risks and benefits of pursuing a lawsuit; and most importantly requires at least a greater than 50% majority of the homeowners to authorize the lawsuit. AIAWA opposes legislation broadening wrongful injury or death benefits (SB 6015) and requiring public agencies, departments or institutions of higher learning to perform a cost-benefit analysis comparing the cost of having the work done by agency staff or by a private entity when contracting for any services. (HB 1851). HB 2726, to allow private public partnerships (P3) for alternative public works contracting, failed to pass out of the House Capital Budget Committee after State Treasurer Duane Davidson testified that his office viewed it as unconstitutional. It is dead for the session. AIAWA had strong concerns with this legislation and believes the issue needs more work outside of the legislative process. Efforts to address issues related to P3s on the Capital Projects Advisory Review Board (CPARB) will continue, and we will likely see new legislation next year. HB 2940 is a B&O tax bill that would lower tax payments for small businesses but shift the burden to bigger firms. The legislation would increase the B&O tax filing threshold to $125,000; implement a B&O credit and a B&O surcharge based on the calculation of a taxpayer’s “margin” (“margin” is not clearly defined); repeal the small business tax credit; and create a task force on “B&O Tax Fairness”. Because this bill would help some firms but hurt others, AIAWA is remaining neutral. However, we continue to advocate for an overhaul of the B&O tax to a system that is fairer and more responsive to the needs of individual professions. If this bill passes and a task force is established, we will advocate for it to focus its efforts on reviewing alternative systems of business taxation. AIAWA supports SB 6246 to lower the voter approval threshold for school districts to issue general obligation capital bonds or levy taxes to pay off the bonds to 55% from 60%, regardless of voter participation levels. The governor’s carbon tax proposal, SB 6203, remains alive although it has not yet reached the Senate floor. The bill has been amended to reduce the tax per ton to $10 from the initial amount of $20 in an effort to secure additional support. The rate would increase by $2 per ton beginning in 2021 until the tax hits $30. For additional info on this bill, read the Legislature’s summary report here. AIAWA supports the carbon tax but we have focused our advocacy efforts on the parts of the bill that relate to energy efficiencies for buildings. AIAWA continues to monitor legislation that impacts housing affordability, transit and more. Bills that are moving include: HB 2444 to provide a real estate excise tax exemption for transfers of low-income housing; HB 2538 to exempt impact fees for low-income housing development; SB 5182 to provide local governments with options to preserve affordable housing in their communities; and SB 6417 to provide housing opportunity zones (development within a half mile of transit facilities) in cities and counties.